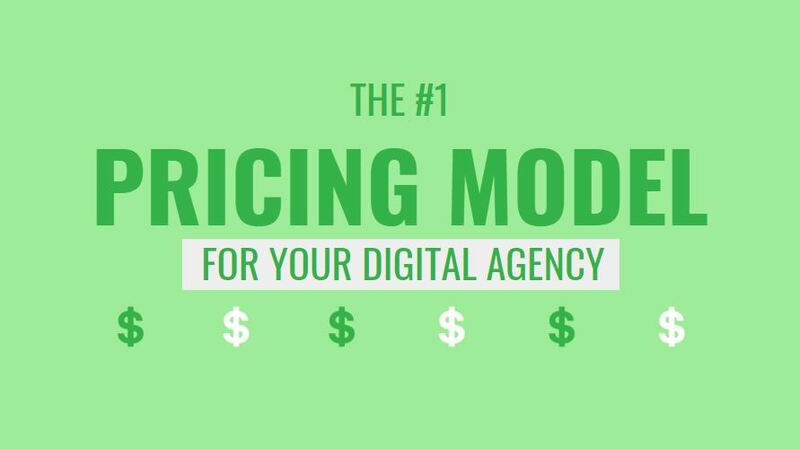 What is the perfect pricing model for your digital agency? Ask 5 people and you’ll get 5 different answers. It depends on a variety of factors such as your agency’s maturity, value proposition, service offerings, and target audience. When I was running my agency I tried every pricing model under the sun, trying to discover the most profitable and manageable model. Some methods worked better than others and some led to outrageous scope creep. Before I talk about my favorite pricing model though, I want to talk about the elephant in the room. This is probably the pricing structure you used when you first started your agency, and it might even be the model you’re still using today. And, don’t get me wrong, hourly pricing has its place, but if you’re looking to grow and scale (key word being scale) then hourly just won’t work, because hourly has a ceiling. ​If you’re looking to grow and scale (key word being scale) then hourly just won’t work, because hourly has a ceiling. Not only that, but hourly is literally swapping time for money. There is no sitting on a beach watching your bank account grow if you charge hourly. Like I said before though, sometimes hourly makes the most sense. Say if you’re doing something technical where the scope keeps changing or problems frequently occur. 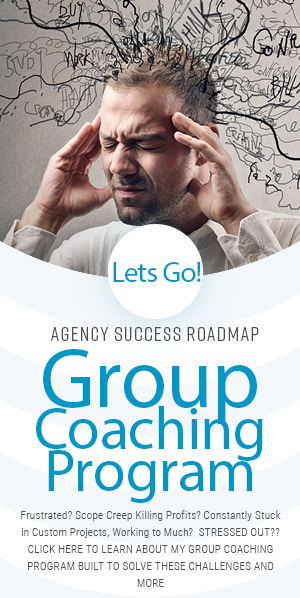 Aside from that, if you want to grow your agency, you need to switch to a more efficient and profitable pricing model. 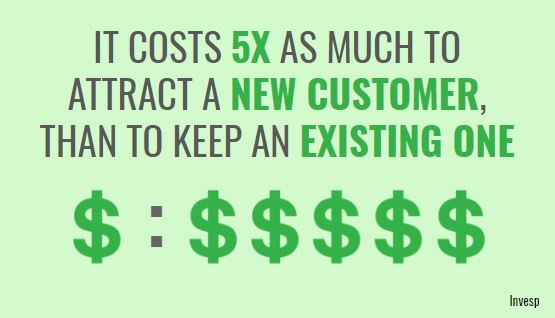 The “perfect” pricing model I discovered is more of a recipe, it’s composed of 3 parts that all come together to increase revenue, deliver happier clients, and create a happier you. Let’s break it down. This is your set up fee, the large website build-outs, the digital assets build outs, all of the pieces of the puzzle. This is the first, and riskiest, step in your pricing recipe. It’s risky because although it has the potential to deliver big profits, it also has the potential to drive you to bankruptcy. You must document everything properly and get really good at estimating budgets. A good way to do this is to develop a “package” type deal where you have the entire process written and documented, and after you do it a few times you’ll know how to accurately price it right away. Remember, document everything! From your deliverables to the client’s responsibilities and everything in between. In fact, Over Document is one of my Digital Projects Best Management Practices. Learn more about that here. Throughout this initial build out you should be organically setting yourself up for the next step. 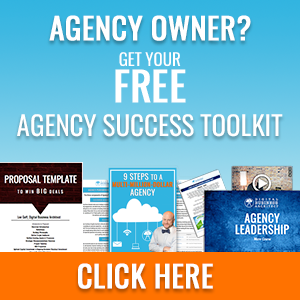 A smart agency will make sure all of their proposals, packages, and services naturally set themselves up to introduce a monthly residual to clients. 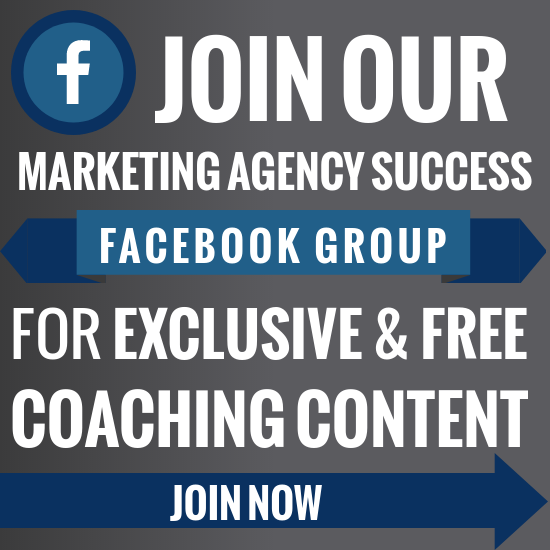 This is where you provide ongoing support to run their marketing automation, manage Facebook Ads, update their website, or whatever it is that your agency specializes in. This monthly management fee can range anywhere from $500-$10,000 depending on the services you provide. Don’t underestimate the importance of this step. Generating new business and clients is expensive, time consuming, and risky. Having loyal clients on a monthly retainer is easy money and can have big profit margins. Just make sure you keep your clients happy and continue to document everything. This last step is a little bonus, it's money that doesn’t come directly from clients. When you're recommending new platforms to clients (Infusionsoft, Hubspot,etc.) the platforms normally have affiliate programs. This means for every person you sign up you can get a little piece of the pie. So if you’re an expert on a certain platform and find yourself setting people up in it all the time see if they have an affiliate program and sign yourself up. You’ll get an extra check in the mail every month without doing any additional work. There you have it, the best pricing model for agencies isn’t in fact one method, but 3 wrapped together. Think about your current pricing technique and image where you could be in 6 months if you transition to this three step approach. You could be driving more revenue than ever before and opening up your service bandwidth.